I have a confession to make: I add things to my to-do lists — long after I’ve already completed them — just to cross them off. It makes no practical sense. The work is already done, and it doesn’t accomplish anything other than cluttering my list. But it feels good. And it’s also visual validation of my finished work. Completing any task feels good. Marking a task as complete feels even better. And that’s why I’ve loved kanban for managing projects. Kanban — which roughly translates to “visual sign” or “card” in Japanese — started in the 1940s. Toyota engineers needed a better way to match inventory with customer demand, so they created a new method that would allow them to do so collaboratively. Toyota line-workers used kanban to visually show steps in their manufacturing process, which allowed teams to communicate more easily about what work needed to be done, when it needed to be done, and by whom. It was revolutionary at the time. And Toyota significantly reduced waste and improved productivity. If it sounds like a simple concept, it is. There’s no magic or learning curve needed to master kanban. The main reason kanban is so effective is that it processes information the way our brain best knows how: with visuals. In fact, the human brain processes images 60,000 times faster than words, and 90 percent of the information sent to your brain is visual, according to Thermopylae Sciences. Agile software development is a term used to describe a team structure that’s collaborative, self-organized, and cross-functional. It should come as no surprise that development teams at many software companies use kanban. Product, feature, and bug fix projects are kept in a backlog, and when there’s room on the kanban board to work on one of them, it’s moved into the next column and assigned to a developer. An important distinction between kanban and scrum, which works similarly, is that kanban is a continuous system. 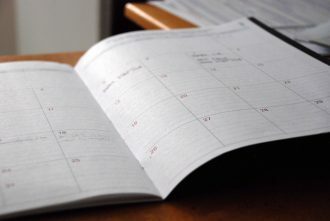 Scrum is typically reserved for sprint periods of a couple weeks. In some cases, kanban can even be a way for developers to collaborate with non-technical team members. At JotForm, our marketing team uses kanban to collaborate with our growth team developers and designers. It helps us create landing pages, blog posts, designed emails, data requests, and more. In the traditional sense, kanban exists in the physical world, not the digital one. All you need is a whiteboard, sticky notes, and a marker. Write the names of the projects on the sticky notes — with different color stickies representing different labels or categories — and then move the sticky notes along the whiteboard columns as the projects move toward completion. This was the way I learned. At a previous company, my supervisor and I did daily standup meetings every morning in front of the kanban board and prioritized how to move the sticky notes to the right as quickly and efficiently as possible. But if you’re looking to implement kanban into your team’s workflow without killing so many trees, you have a ton of choices. Asana is do-it-all project management software that helps teams produce work more efficiently. While you can use a number of different Asana views for your projects, including a great calendar view, its kanban feature is really strong. Take advantage of this feature by using Asana’s Boards layout. When you want to create a new task, you can name it, label it, assign it, and add subtasks within a matter of seconds. You can also add due dates to everything, and then switch to Asana’s calendar view to get a better visualization of monthly deliverables. Asana wasn’t originally designed to be a kanban tool, but it totally passes the test and is great for teams to use. Trello is a great introduction to kanban that requires very little effort to set up and add collaborators. In fact, there probably isn’t a work management software that’s easier to learn how to use. Adding columns, cards, and labels is as simple as clicking. An added fun feature is the ability to customize the background and color of your Trello board. We’ve used Trello for major product launches at JotForm, and it was great that we could make the design of the Trello board a little more inspirational. Sortd has the look and feel of Trello, only it’s for your Gmail inbox. If you get requests from your team via email, it’s nice to have your kanban centralized in your inbox and not have to migrate it to another system. 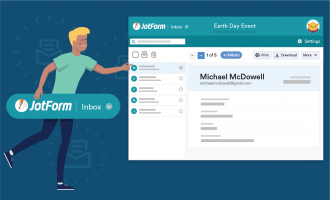 If your company operates like JotForm does and uses email as its primary method of communication, this a good way to go. Jira is truly designed for software developer teams. It has a little more oomph than most of the options listed above but is also a little more complicated to figure out. If your work is complex and has a lot of moving pieces, as with software development, then Jira is a great resource. 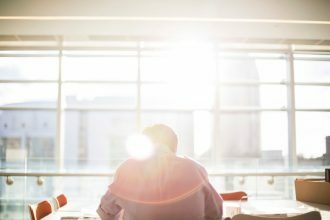 There are loads of productivity techniques out there, but kanban is one of the absolute best for teams. When your list of team to-do items piles up, kanban is the way to sort them, assign them, track their progress, and actually get things accomplished.